We left Rancho Santa Fe and headed northeast for the first time. I was surprised at the amount of traffic on the back roads. 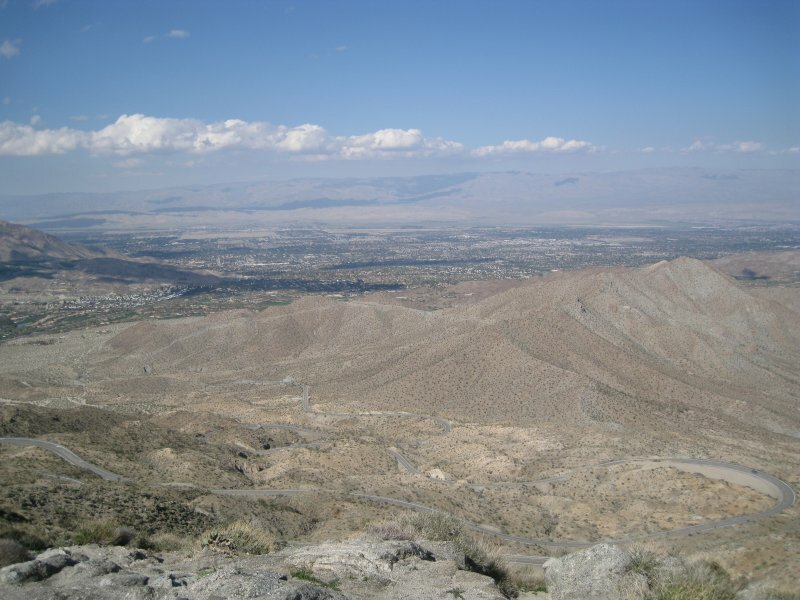 We climbed to 4,000 feet over a distance of 80 miles and then dropped south of Palm Desert to 40 feet in about 10 miles. The photo shows the severe switchbacks in US 74. We are camped now at the Lake Cahuilla Recreation Area where we met up with our friends from Saltspring Island, Judith and Robert. They have a motorhome similar to ours and we will be travelling together through the Mohave Desert for the next week.